Have you given your personal power away? Do you feel victimized? Can you make an unpopular decision and stand by it, or do you concede to other’s decisions? Do you over-analyse just about everything? Do you know yourself? Do you feel inferior? Do you use sarcasm to hide your feelings? Can you handle conflict without getting angry or resentful? Do you feel taken advantage of or controlled by others? Are you a pessimist? Are you afraid of facing life? The Solar Plexus is where you get your “gut feelings” and intuition, a strong sense of self esteem is required for developing your intuitive skills. This chakra is also where you assimilate feelings such as laughter, joy and anger. Binaural beats can enhance your intuition and self esteem, more efficiently than a traditional meditative practice, while clearing any blockage in your solar plexus chakra. The Solar Plexus Chakra, or Manipura, rules lessons involving fear of rejection, your self esteem, sensitivity to criticism, a distorted self image, and fear of your “secrets being found out”. The wisdom of the Solar Plexus involves your sense of personal power and knowing, your personality and your sense of belonging. An imbalance in the Manipura might manifest as poor decisions, poor concentration, trouble taking action and getting things done, and an inability to judge a situation accurately. Imbalances in this Chakra can create feelings that you are more, or less, than other people. 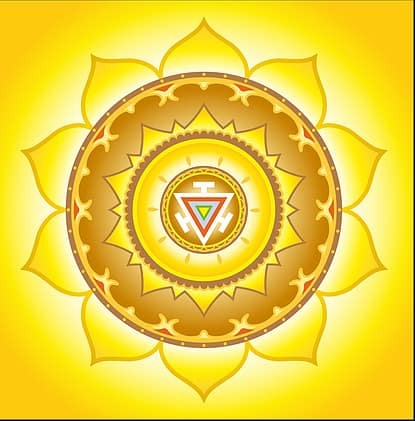 Emotional memories are stored within the Manipura, and it is where your ‘gut feelings’ originate, it is the center of your emotional life, and many are naturally connected to the environment through the Solar Plexus chakra. The Third Chakra is right above your belly button, at the center of your solar plexus. It’s color is yellow. It is connected to the Mental layer of the aura. The mental layer of the aura vibrates with, and is formed by, our thoughts, and is a fine, bright yellow energy. It pulsates and thickens when we concentrate and focus our minds. Chakra Gemstones such as golden topaz, citrine, amber, yellow sapphire and yellow tourmaline are useful in Solar Plexus chakra balancing. Among the flower essences and essential oils used to balance the Manipura are chamomile, yarrow, vetivert, petigrain, peppermint, lemon juniper, and marjoram. Third Chakra foods are grains, pasta, bread, granola, cereal, flax seed, rice, sunflower seeds. Dairy foods like milk, yogurt and cheese, and spices such as ginger, mint, chamomile, cumin, turmeric and fennel. Perhaps the most direct way to awaken the vibrant, personal power within your Solar Plexus is through sound; just 27 minutes with a pair of headphones and our Alpha Level Binaural Beats can deliver the ego boost you need! Cutting edge sound healing techniques combined with ancient Chakra balacing traditions, this program features Tibetan Singing Bowls tuned to the 3rd Chakra, and the Binaural Beats utilize a Solfeggio frequency of 528 Hz. The sound progresses along Earth Resonant frequencies to a low of 7.83 Hz (Shumann Resonance) and ramps back up to an Earth Resonance of 14.1 Hz. This deeply relaxing and releasing meditation will not only help to balance your Solar Plexus Chakra, it will also balance your mind and spirit to the frequencies of our Mother Earth. Begin healing now. 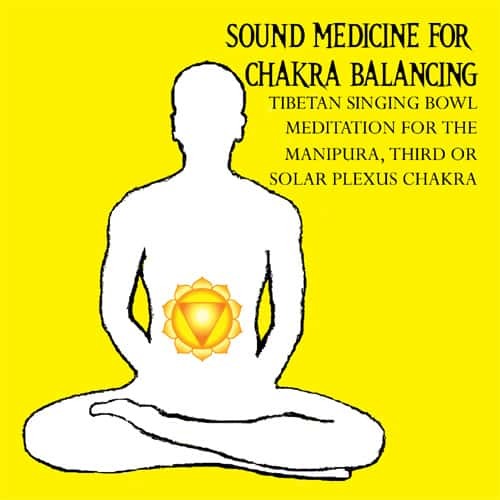 Balance your Solar Plexus Chakra with healing sound, color and words. Download the 27 minute binaural beat MP3, and the 8 minute MP4 video with 9 page PDF. 27 Minute Binaural Beat 3rd Chakra MP3 and 8 minute MP4 video, Download Price $9.95. Are you using an iPad, iPhone or iPod? Apple software will not allow for MP3 downloads outside iTunes. Click here to purchase on iTunes. 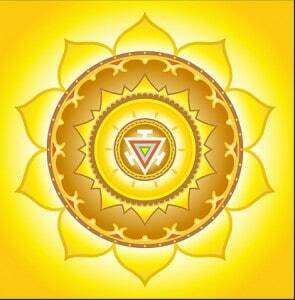 To Purchase the 27 Minute Solar Plexus Chakra Balancing CD for $12.95, click here. Yoga postures like the Bow, or “Dhanaurasana”, can help to realign the Manipura chakra, as well as maintain flexibility and youthful health and well being.